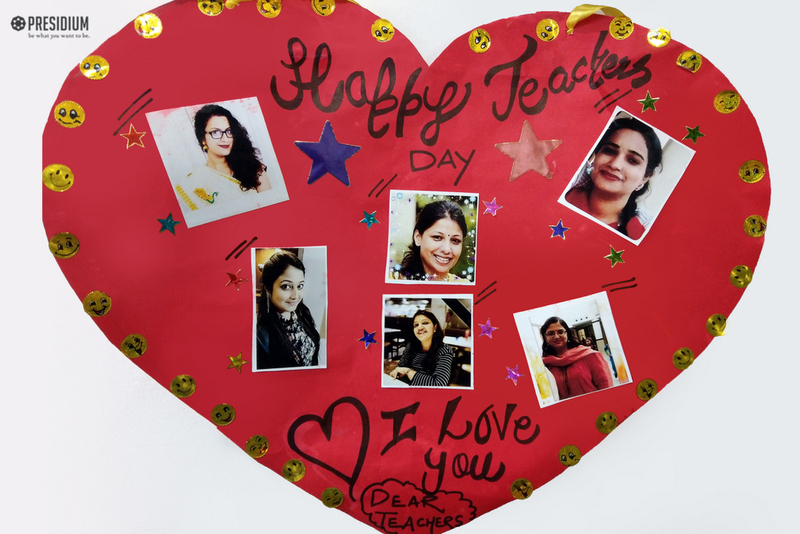 Teachers' day is a special occasion celebrated on every 5th of September to honour and appreciate the teachers who have taught us much of what we know today. 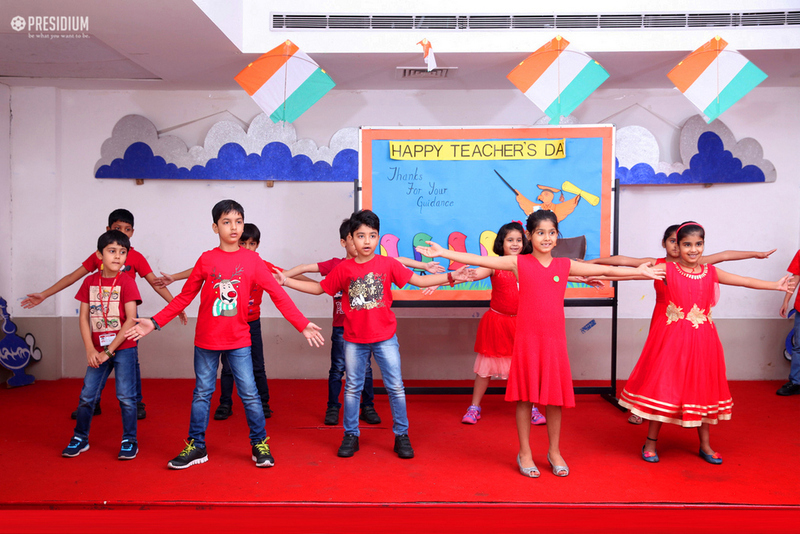 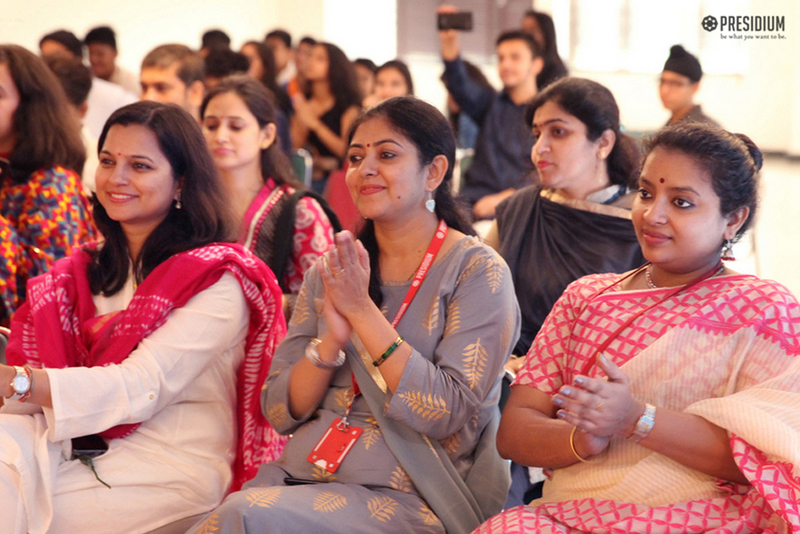 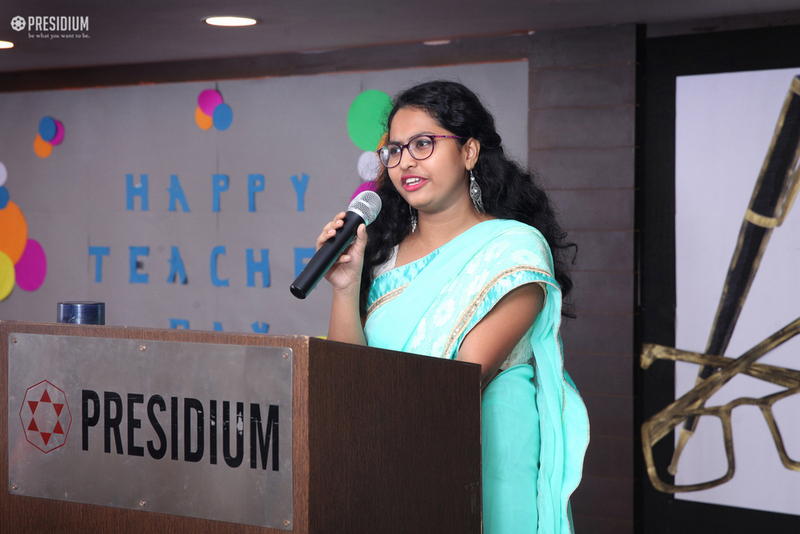 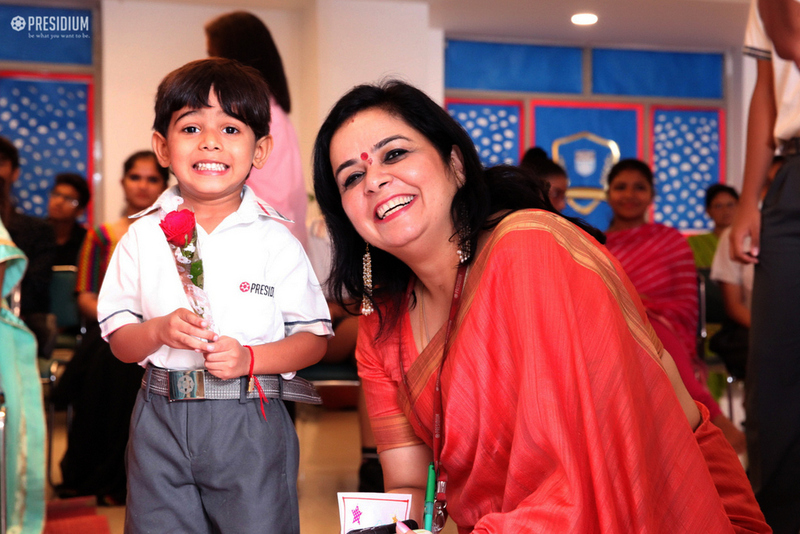 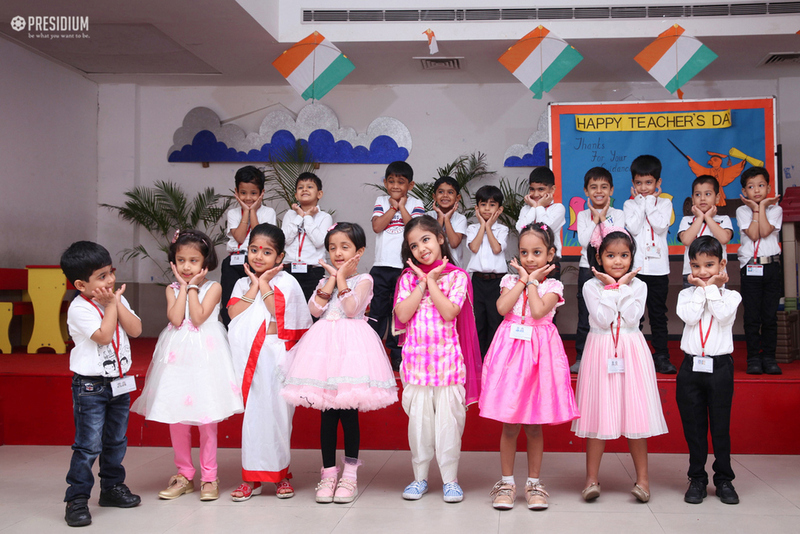 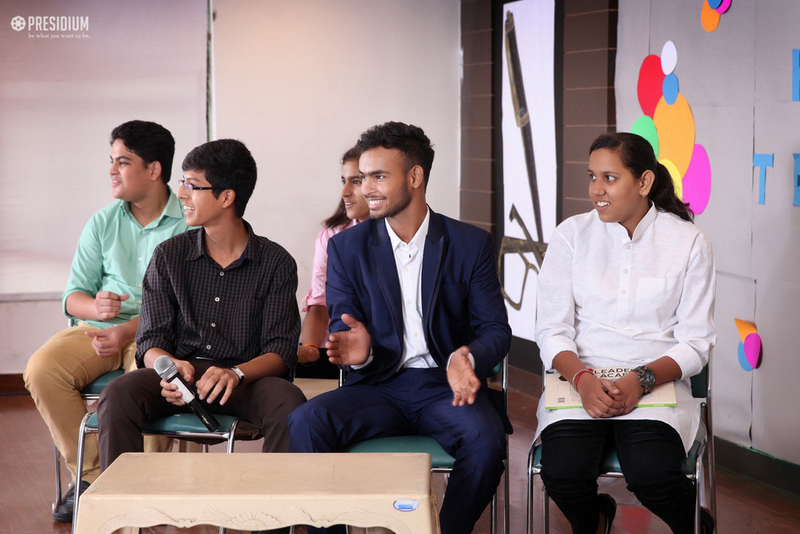 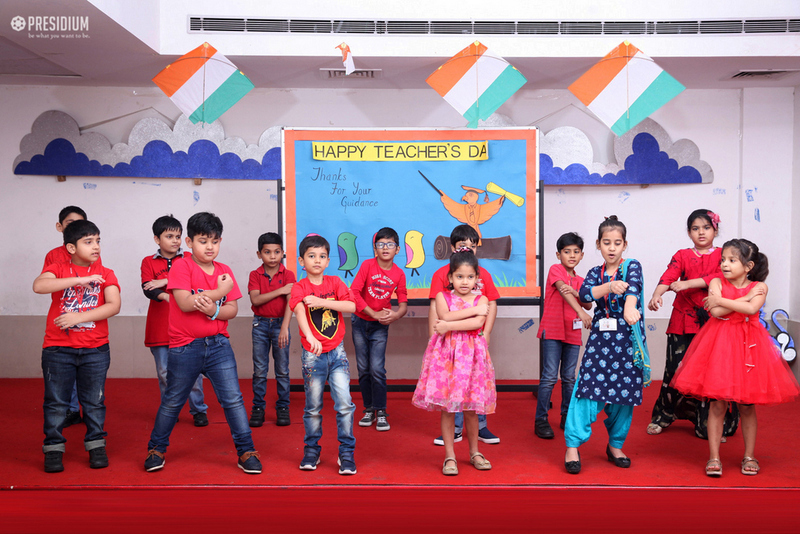 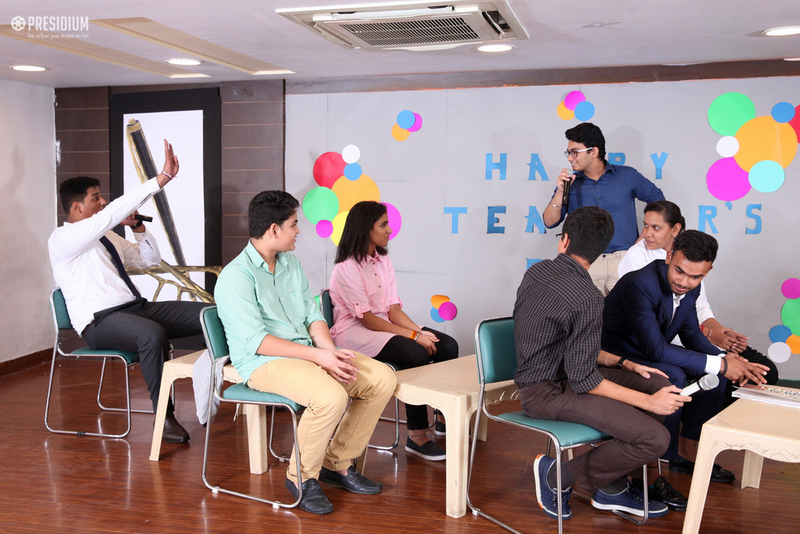 Presidium Gurgaon celebrated Teachers’ day with zeal. 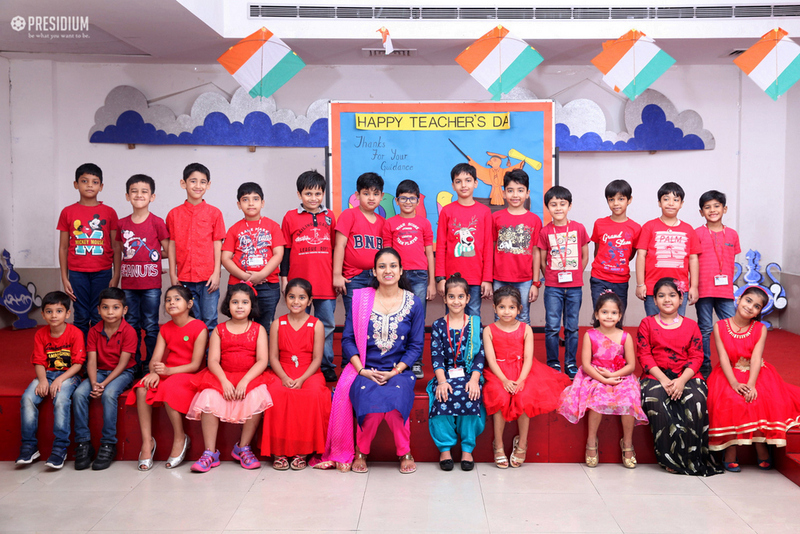 The students of classes took over the duties of teachers for the day. 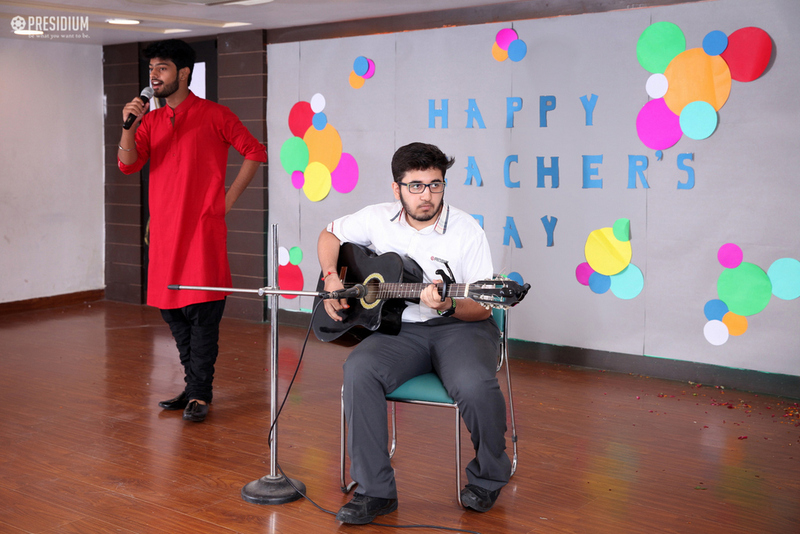 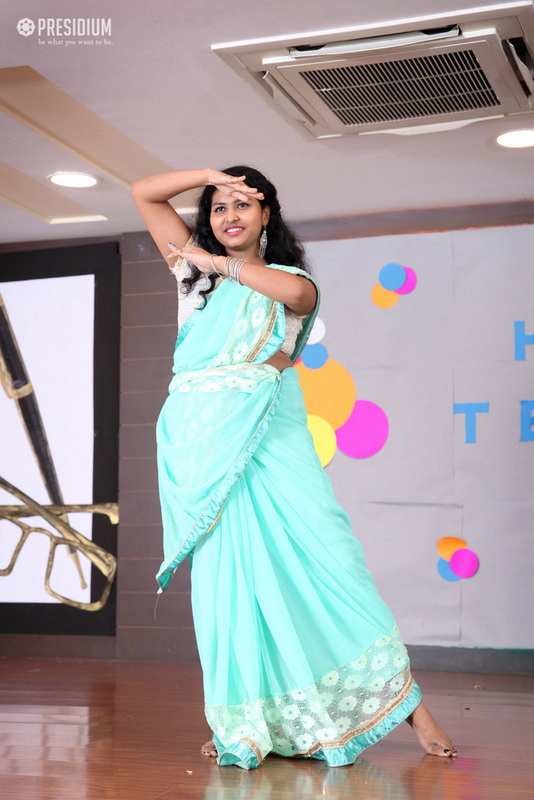 A special morning assembly was held in which students paid homage to their teachers through poems and an enactment. 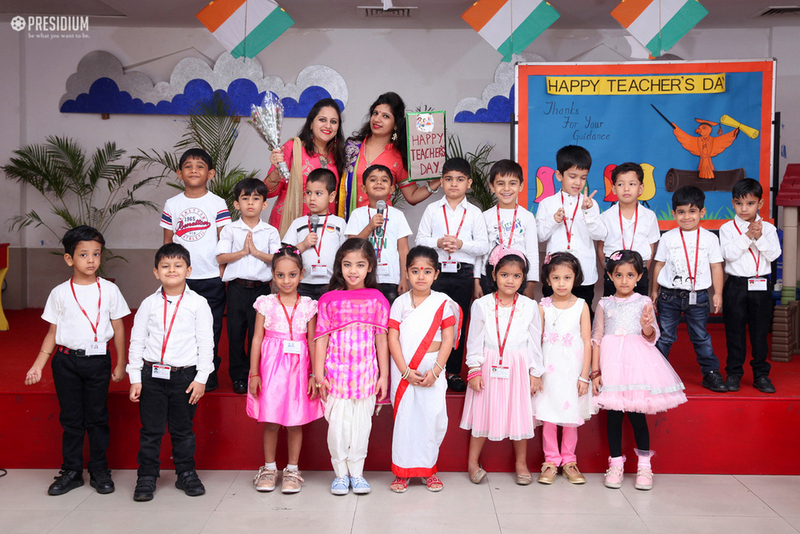 The Principal Ms.Alka Singh appreciated the sincerest efforts of the teachers in playing a catalytic role in holistic development of every child. 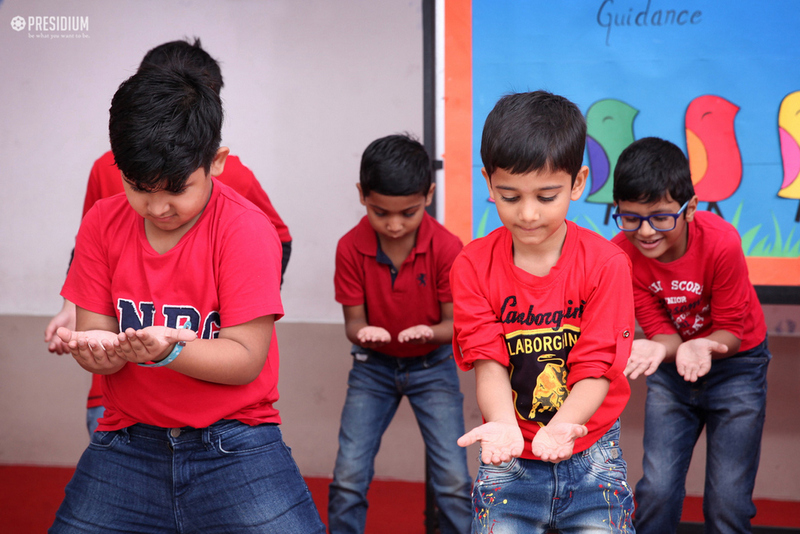 There was a special celebration in school which included games followed by a grand lunch.